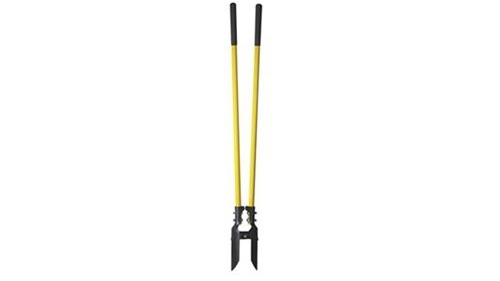 If you’re looking for an efficient and effective tool to create narrow holes for potted plants, fences, or signs, you should check out post hole diggers. They work by puncturing the ground while in the open position and then loosening the soil. The grabber can then be closed and pull out the loosened soil, leaving behind an even and deep enough hole. Most models will be manual post hole diggers that work as noted, but auger bit drills are a possible alternative. Those models work by drilling into the ground with a larger helical screw blade to remove dirt as it drills downwards. These are typically more expensive, so it will be up to your budget. When getting a post hole digger, there are several factors to consider. In terms of manual diggers, go for ones that are designed with convenience in mind. This can include stronger leverage systems so you don’t have to hassle as much when operating it. 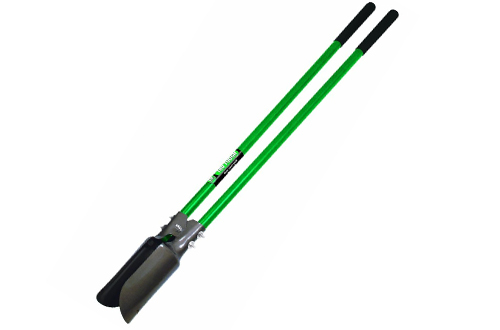 Durable materials are important too, as it will ensure that the post hole digger lasts a long time. Tight and efficient handling will ensure that the hole is tidy and also look for the maximum depth each digger is capable of. As one of the top-selling products in the market, this post hole digger from Fiskars is guaranteed to get the job done. Whether you are planting potted plants or building a fence around your garden, this model will not disappoint. It uses offset handles which lets you dig up to 12″ deeper compared to many other models. It also protects your knuckles while you dig. The blade is constructed from welded 14 gauge steel, while the shafts are made from 16 gauge steel. The blade spread is 6.5 inches, and the length is 60-1/4 inches. For a solid budget entry, this post hole digger from Seymour is a good choice. 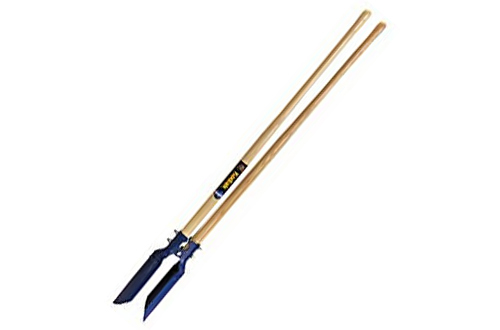 It has a 10-1/2 x 7″ spread, and it is recommended for use with sandy, loamy, or loosely packed soil. The 48-inch handle is made from number 1 grade lacquered wood. The blades are enamelled and coloured blue. 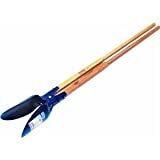 If all you need is just a tool for simple jobs like planting potted plants or making holes for your fence or sign, this is a great pickup. 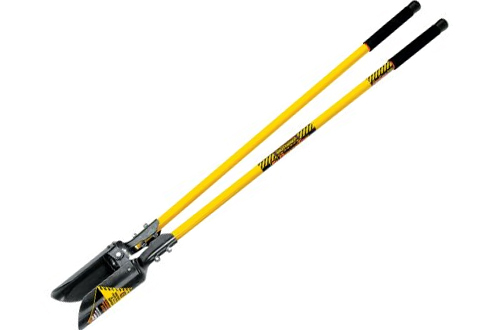 Despite its very reasonable price point, this post hole digger from Seymour is designed for professional, heavy-duty use. The fibreglass handle and core insert ensure that there is added strength for most tasks. The core insert reinforces the connection to the head which is the point where the greatest amount of stress occurs. The cushioned grip along the ends of the handles gives you superior leverage and greater comfort. It has a 6-1/4 inch point spread. This professional grade post hole digger from Truper is excellent for its price and is guaranteed to get the job done right. It measures 48 inches and the handle is made from a rugged fibreglass. The soft cushion grip gives you superior balance and control while digging. The green handle meshes well with the clear-coated grey steel finished blades. The unbeatable price and long-lasting materials ensure that this is a proper investment if you are a frequent user. With a fair price and a well-crafted design, this post hole digger from Seymore is an excellent purchase. It uses a classic style hardwood handles that are square cut for additional strength at the most stressed areas. They are double bolted to jokes for even more strength. The blades are also triple riveted to thick yokes for more durability. The carbon steel blades are pre-sharpened for better leverage and digging capacity. If you own a compatible Voyager Tools model, this can be an interesting alternative to manual post hole digger. 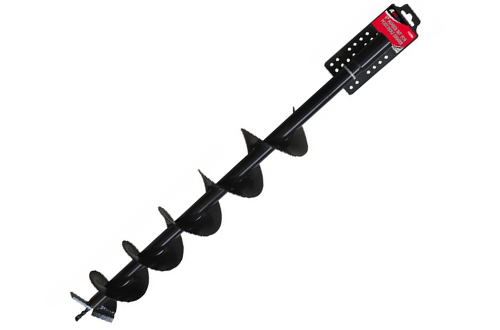 This 8″ auger bit is the perfect tool to get more tidy holes with less effort. It is constructed with a heavy wall tube for maximum strength drilling. The alloy steel blades ensure optimal performance, which can dig up to 3 feet deep, and 32″ in diameter. One of the biggest advantages of auger bit drills is that there is less hassle when operating it. Instead of using force to dig through, you can let the drill do its job while stabilizing it. 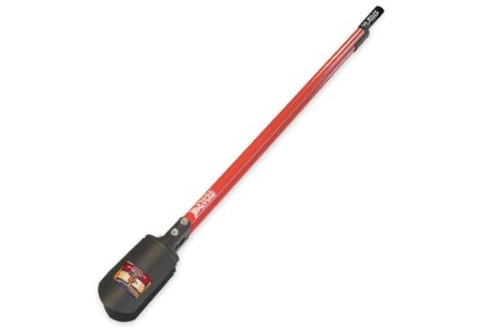 With an 8 inch spread, this digger from Bully Tools is a great purchase if you need to dig some sturdy post holes. The 14 gauge steel blades are high quality and made to last, while the fibreglass handle features triple wall construction. Altogether, this offers extended durability in the whole package. The blade measures 9″ by 6.5″, and the total length of the handle is 59.5″. 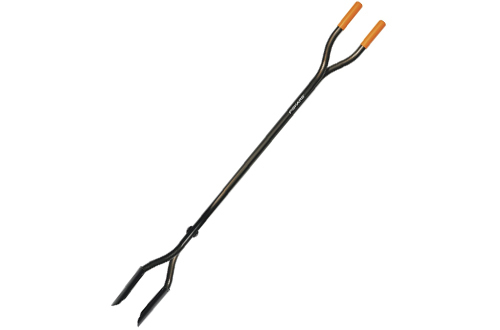 As one of the leaders in outdoor gardening tools, Ames True Temper doesn’t mess around with this post hole digger. While it is heavier than the usual models, it offsets this by offering improved stability when working with heavy-duty soils. The handle measures 48″, making it shorter than the standard sized models. However, this along with the increased weight gives you more leverage for tougher tasks. The blade spread is 6.25″ and the blade is made of high carbon steel. 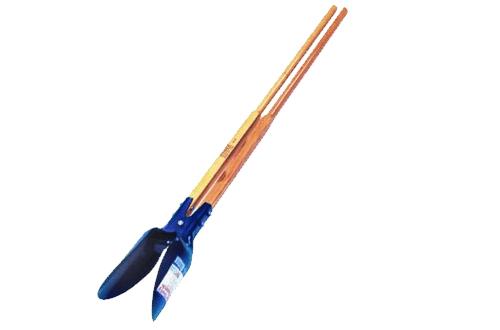 Made from a durable fibreglass material, this extra long post hole digger provides excellent value. 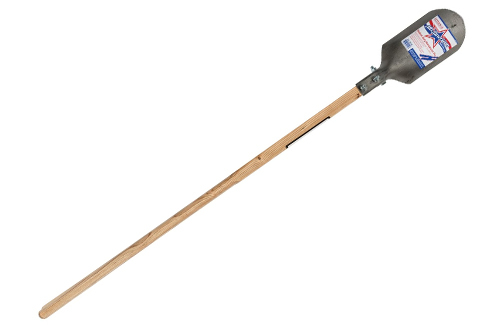 The handle length measures 72 inches, making it longer than most standard sized diggers. This allows it to dig deeper holes, and the 6-1/2 inch diameter blade tips give it the strength to dig into harder, heavier gravel soils.